I suppose if you’re going to tell the current light-heavyweight champion of the world and future International Boxing Hall of Fame member what to do, you’d be wise to do it in the form of a written letter sent from a faraway location. 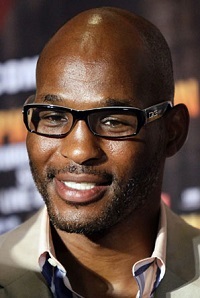 Bernard Hopkins recently received a letter from the International Boxing Federation (IBF) ordering him to defend their championship — which Hopkins retained in his April 19 split-decision victory over fellow Muslim fighter Beibut Shumenov — against the winner of the June 21 bout between contenders Anatoliy Dudchenko and Nadjib Mohammedi. Hopkins, the 49-year-old veteran who is now breaking his own oldest-man-to-do-such-and-such records every time he steps in the ring, has been very clear in his intentions to unify all three major light-heavyweight belts before his 50th birthday on January 15, 2015. For that to happen, he’d have to keep the WBA and IBF titles, then beat WBC champion Adonis Stevenson or Andrzej Fonfara, who challenges for Stevenson’s crown on May 24. Sticking to his plan of fighting the Stevenson-Fonfara winner before January 2015 is unlikely if Hopkins (55-6-2, 32 KOs) is forced to defend against an IBF mandatory challenger. Usually, a champion’s most effective way to avoid a mandatory defense would be to vacate the title, but that’s not an option for Hopkins if his goal is to unify the belts. If the IBF and Hopkins both stand their ground, the only way for both sides to get what they want would be for Hopkins to fight two times between September 21 (probably the quickest turnaround from the Dudchenko-Mohammedi fight that either potential challenger would agree to) and January 15 (against the WBC champ), when Hopkins hits the half-century mark. And that’s just not going to happen in today’s boxing climate. Hopkins is in phenomenal shape, but even a young champion in his prime wouldn’t welcome that schedule on himself. Boxing’s history of ruining matchups that fans actually want to see with nonsensical mandatory title defenses is long and frustrating, and sometimes corrupt. But the IBF would be especially lame to make Hopkins take this mandatory title defense. Wouldn’t it be more beneficial for the IBF to have their belt included in a Hopkins unification bout that will be much more profitable and popular than watching him vacate the belt because he doesn’t want to make his next defense against somebody with almost zero appeal to the public? Here’s hoping they stick to that practice and don’t get in the way of Hopkins making history.